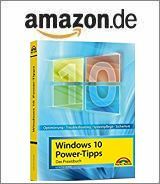 [German]Microsoft released an out of band security update KB4100480 for Windows 7, Windows Server 2008 R2 and the embedded version of Windows 7 on March 29, 2018. Update KB4100480 is a Windows kernel update that closes the CVE-2018-1038 vulnerability. This update fixes an Elevation of Privilege vulnerability in the Windows kernel of the 64-bit (x64) version of Windows 7 Service Pack 1 and Windows Server 2008 R2 Service Pack 1. This vulnerability is documented in CVE-2018-1038. Users must apply this update to be fully protected against this vulnerability if their computers were updated in January 2018 or later by applying any of the following updates. The patch is rolled out via Windows Update and WSUS, but is also available for download in the Microsoft Update Catalog. Microsoft says there are no known problems. I got feedback from German blog readers, who claiming a delayed boot of machines and broken network connections. Microsoft has sent out the following security warning for the update. 2018-03-29: OOB security update released by Microsoft. CVE-2018-1038. Apply immediately if affected!. Shall I install this update? Ulf Frisk recommends to install this update, and I would say: The update should be installed promptly to close the zero-day vulnerability. But I suggest to create a system image backup before you install the update. If you have problems, you can uninstall the update from the Control Panel. This entry was posted in Security, Update, Windows and tagged KB4100480, Update, Windows. Bookmark the permalink.